The Australian Government has failed to regulate prices and charges. That's why the country is fucked. Would you pay $5931.90 for the installation of a landline in a suburban area? That's what Telstra was attempting to charge small business owner Sonia Turkovic and her landlord son-in-law, Marc Edwards. On February 17 last year the pair requested Telstra install a landline at Mrs Turkovic's new office on Moreland Road in Coburg, Victoria, where she runs a financial planning business. At first everything seemed to be running smoothly, but then the quote arrived: $5931.90 for installation plus a $299 connection fee. To make matters more frustrating, the pair couldn't get a third-party quote from an electrician because Telstra said the type of installation required a Telstra technician. "It blew my mind," Mrs Turkovic said. "The quote was out of this stratosphere." Because Telstra has a monopoly in the fixed-line space, there was virtually nothing she could do about the cost but complain. The initial quote included Telstra digging up the pavement outside her office to run a new conduit to the premises (containing copper wire) and then reinstating the pavement. This confused Mrs Turkovic because about 30 centimetres away from her office's front door was a cable pit with the marking "PMG" on it. PMG (Post Master General) was the organisation which ran Australia's copper network before Telstra. Because the pit was so close, Mr Edwards disputed the installation cost on behalf of Mrs Turkovic and had it reduced to $2639.62. But even after it was reduced, he still believed the cost to be "ridiculous" and unreasonable. Despite this, he agreed to have the installation completed on the condition that he and Mrs Turkovic could dispute the $2639.62 cost with the Telecommunications Industry Ombudsman (TIO) and Telstra. But now, almost 18 months after the initial request for a landline, and 14 months since the installation was completed, the two are still disputing the cost and Telstra isn't budging, requesting for payment to be made. In a statement, Telstra said the installation involved more than a standard landline connection, "including commercial works and project management of internal Telstra and civil contractors". "A complaint has been raised and we're following our usual complaint management process," it said. "This is also the subject of an open TIO investigation and we are working with the TIO to reach a resolution." Mr Edwards said the actual work done took a technician just under three hours to complete. He said it wasn't completed until June 18, 2012, about four months after the landline was initially requested. "We had to push Telstra really hard to get a second quote and [it] was a lot lower but it was still $3000 to push one cable through a bit of conduit, drill a hole in the wall and use $80... worth of parts," Mr Edwards said. Because of the delayed installation, Mr Edwards and Mrs Turkovic have attempted to claim compensation worth $12,080, saying Telstra broke its legislated Customer Service Guarantee. While waiting for the landline to be installed, Mrs Turkovic said she was without a business number for at least two months after moving offices in April 2012. She said she had stationery, signage and advertising printed with her Telstra-assigned number and that customers were being told it was disconnected when they tried to call, putting her reputation at risk. The Customer Service Guarantee states that a "new connection without infrastructure or spare capacity" should be completed "within 20 working days (equivalent to 1 month) after request". If the work isn't done within the time specified, the CSG tells business customers they may be entitled to $24.20 for each working day that Telstra misses, for the first five working days of delay. After the initial five working days, they may be entitled to receive a payment of $48.40 per additional working day of delay, it adds. Telstra said that as part of the complaint process it would "be determined if the customer is eligible for CSG payment or compensation". Mr Edwards said he wanted to bring the delayed installation and cost to light so that "maybe someone else won't have to go through this". 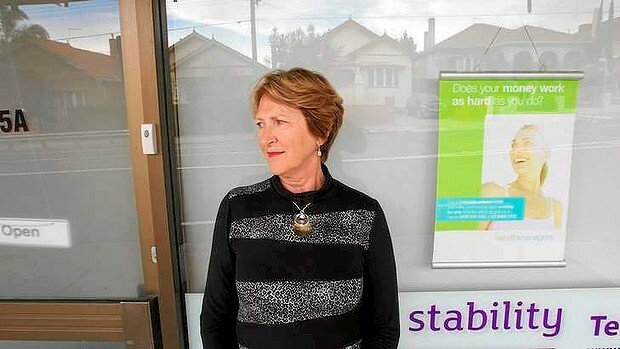 Mrs Turkovic described her overall experience with Telstra as "exhausting" and "frustrating".